Beginning Monday, Oct. 31, voters in San Bernardino County will have four additional locations where they can cast their ballot prior to the Nov. 8 Presidential General Election. Early voting sites will open at the Ontario Conference Center, Rim of the World High School, Victorville City Hall, and Yucca Valley Town Hall. Earlier this month, early voting began at the San Bernardino County Elections Office. “Opening these additional early voting sites is just another way that my office is making voting more convenient for San Bernardino County voters,” said Registrar of Voters Michael J. Scarpello. A second early voting site opened in the high desert in 2012 and a third was opened in the west valley in 2014. This election, with the addition of a mountain area location and a location in Yucca Valley, people wanting to vote early will now have more options than ever before. All five early voting sites will also collect voted mail ballots from voters. At the Elections Office and the Ontario Conference Center locations, voters can even drop off their mail ballots during the week without getting out of their cars by using the drive-thru drop-off service at those locations. On Election Day, a drive-thru drop-off will also open at the Victorville City Hall. At each early voting site and every polling place, voters can also take a ballot selfie with their unmarked ballots and their ‘I Voted’ stickers in front of a ballot selfie poster and share their experience with friends and family through social media. 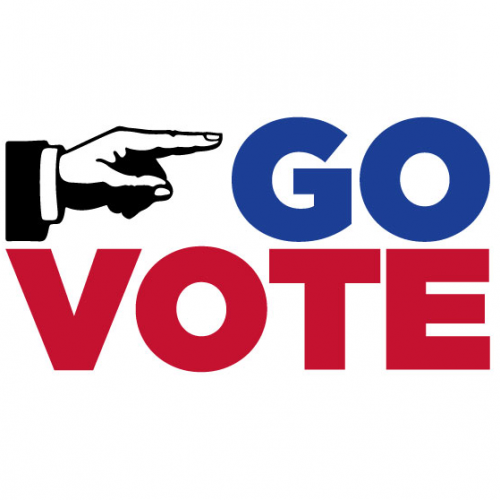 Early voting takes place Monday through Friday from 7:30 a.m. to 5:30 p.m.; Saturday, November 5, from 7:30 a.m. to 5:30 p.m.; and on Election Day, Tuesday, November 8, from 7 a.m. to 8 p.m.
That authorized person would then have to overnight your ballot to you and if you postmark it by Tuesday, Nov. 8 you can mail it back.